I hope you have had a great Monday. This week's motivational Monday is all about everything working out in the end and all the barriers we face on the way to somewhere or something. I cannot lie, I am the only thing standing in my own way the majority of the time; I'm indecisive, I can never make my mind up and a lot of the time I stress myself out over absolutely anything and over think every single situation which forms barriers and challenges every step of the way; it's just how I work. My life would be so much easier if I stopped doing these things but then I'd have nothing to challenge me, I guess. 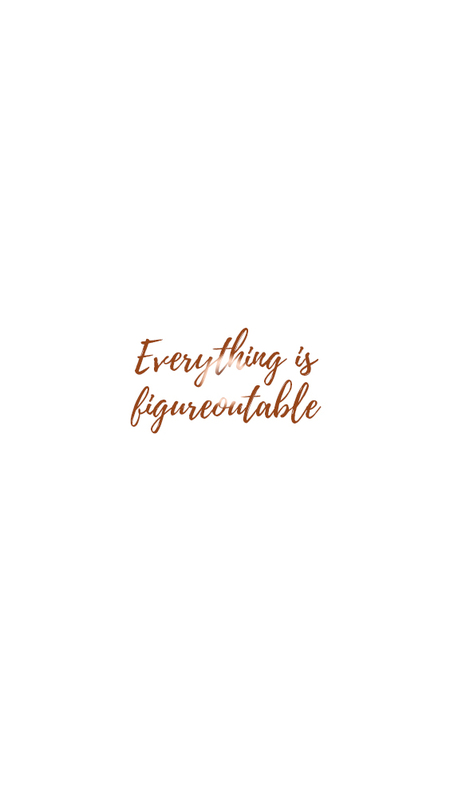 The other week I found the quote "Everything is figureoutable" over on Pinterest and I had to make it my own to share it with you; because the quote is right... You can figure absolutely anything out, it may just take a heck load of time and patience to do so. Sometimes it takes a while to realise you're the only thing in your own way to do whatever you want to do; whether it's fear you're battling against or general indecisiveness. You may have a fear of trying something new, or even a fear of failing once you have tried; but once you get out of that comfort zone of being used to what you usually do; you can do anything and open yourself up to so many new challenges and opportunities. For me, a lot of the time it's the fear of failing or the fear of being out of my comfort zone which stands in my way; but with a little confidence and belief, I know I can do anything if I put my mind too it. 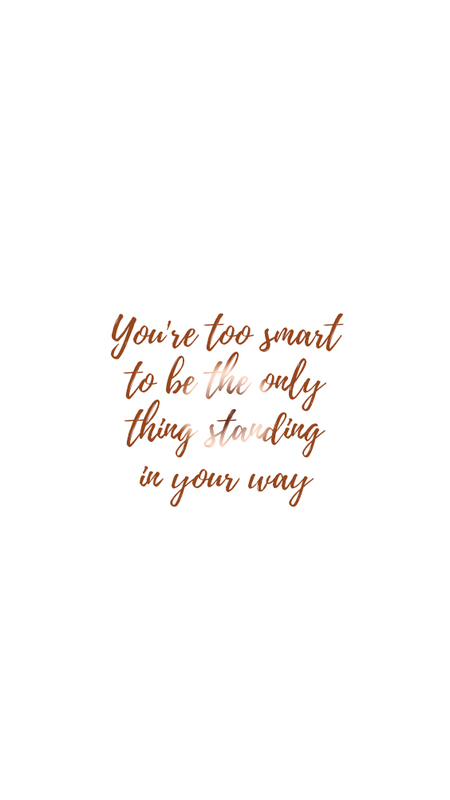 Something which thoroughly helps me is some simple inspiration and most of the time prints and quotes help me to feel inspired with my life and what I'm capable of doing. My room is absolutely smothered in prints with inspirational quotes in which I can wake up to every single day and that will be the first thing I can see; it's surprising the difference a print can make to your daily outlook. In order to succeed, you must believe that you can. Have you ever stopped doing something because of fear?